Giant sandbox setting replete with detail to bring it all to life in your game. "Then imagine you've arrived, shipwrecked or magically transported, to this tropical hell and that there is no escape. 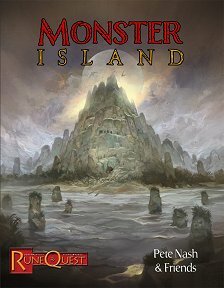 "Welcome to the horror of Monster Island!"